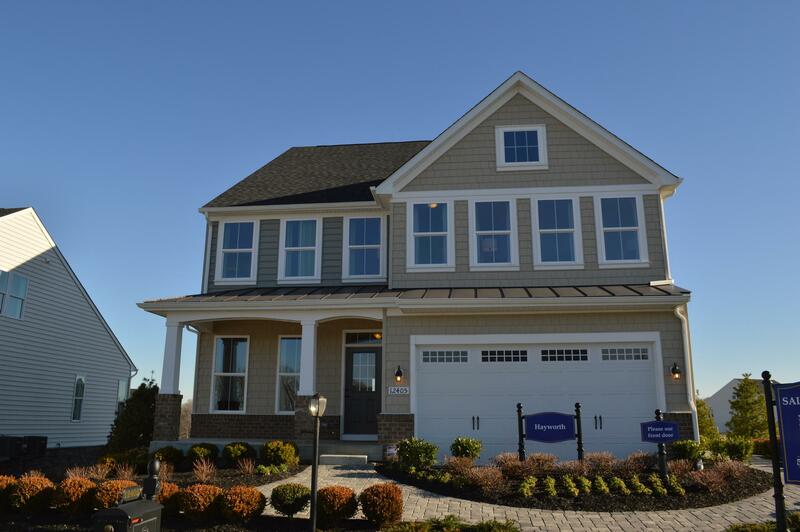 May's Quarter is the newest Luxury Home Community in Woodbridge, VA. This will be a great place to purchase a brand new home in Lake Ridge and in the 22192 Zip Code. The model home is currently in the process of being built and will be finished sometimes in July 2014. May's Quarter will have approximately 270 luxury single family homes in the heart of Lake Ridge, VA. The homes are on lots of approximately 0.25 acres, all close to everything. Why May's Quarter Woodbridge, VA? May's Quarter in Woodbridge, VA will be an amenity filled community that offers a 25 meter swimming pool, tennis courts, basketball courts, scenic walking trails,4000 sq ft clubhouse with meeting room and fitness center and a gorgeous gazebo perfect for entertaining. May's Quarter offers Luxury Homes in the heart of Lake Ridge, minutes away from shopping and dining and great commuter options. The Builder is offering some great grand opening incentives. Just contact me to find out what the current incentives are at May's Quarter in Woodbridge, VA. Interested in Homes for sale in May's Quarter of Woodbridge, VA? If you are interested in moving to May's Quarter in Woodbridge, VA below are all the homes currently for sale. Please contact Claudia Nelson with any questions or inquiries.